Hello my friends, I hope all is well in your world…. Lately I've been thinking about people pleasing and I wonder… what’s your thought on it? Are you trying to please people and do things that you do not really want to do and it makes you feel burnt out? During the last 10 years, while going through a very tough time in my life, I started getting involved in Alanon and other personal development and transformational programs, where I came across a lot of people pleasers….. or very nice people who don't want want to be nice all the time. 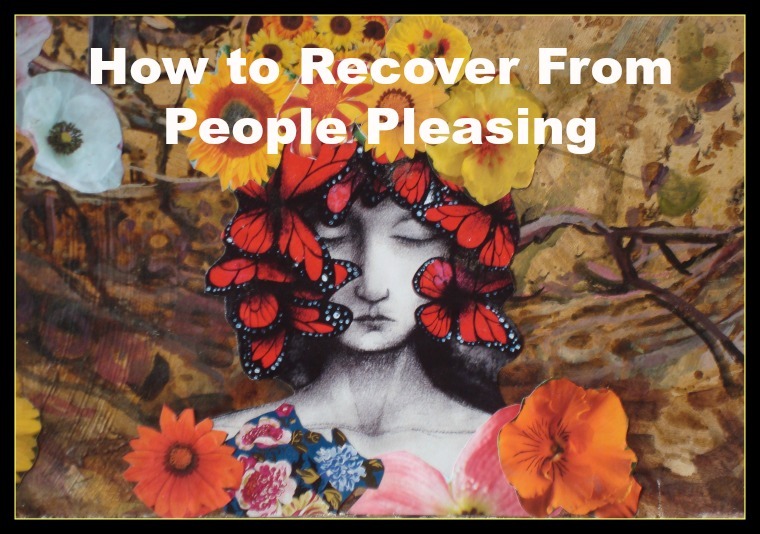 To be perfectly honest, I am one myself, actually now I'm a “people pleaser in recovery”. The fact is that extensive people pleasing has cost me my self expression, self worth, creativity and my aliveness…. Not being true to myself has made me very resentful, passive aggressive and turned me into a martyr……..oh no. The good news is that I was fortunate enough to be willing to learn about this habit, recognize it as a pattern, that has served me for a while and then I could set strategies in place to practice healthier ways of being and doing. Now… the good news….. anybody can do it! Since then things have gotten a lot better…. Of course it’s a lifelong practice and these survival patterns don’t go away, but with awareness you can chose; Do you want to be authentic, or do you want to be a people pleaser. They say it takes about 21 days of practicing new behavior to change a pattern. Simple examples of people pleasing. Someone asks you….would you help me with this project? You have no desire to do so and no time, but you find yourself saying yes. Always saying yes, when you mean no. Your boss asks you to work on the weekend and you don’t want to do it but you say yes. Your friend wants to go to the movies with you, you are tired and don’t feel like it, but you say yes. Someone is aggressive and instead of standing up for yourself, you say nothing to avoid conflict. In some cases, people pleasing is almost like an addiction, constantly needing to be needed.” This is a way to derive a fake sense of self worth, by constantly getting yourself into situations where you feel needed. Can you relate to any of these points? If yes you might be a people pleaser. Human beings who are always sweet, nice and helpful, but inside they feel burnt out, resentful and taken advantage of. Yes, sometimes it gets so bad that you become sick and can’t function anymore. If you don't refill the well, it will dry out. Know that this is a pattern that you started in childhood, it served you for a while, but at one point in life, it’s not working anymore. That’s the time to practice something new. It has been proven that by practicing new behavior, you can actually create new neural pathways in the brain. Anything “new” feels uncomfortable, just like new shoes, you can just accept that and do it anyway, until it feels normal. Start on a new path, a life of freedom to express yourself and your needs. You can do it! If you need help ask for help, it’s easier and more fun with help. PS. When I learned about human design, I discovered some very simple reasons why I react the way I react, how I can chose to accept certain things and with awareness… practice different behavior. It has helped me find answers to some of the deep questions I had. For example, having an open solarplexus and heart center conditions me to question my self worth, by always thinking there is something wrong with me and the need to prove myself. Do you have that too sometimes? I found out that I don't have to prove myself, it's just something that I learned growing up. Knowing that if I get to know and accept myself the way I am, I can enjoy peace and the freedom to express myself fully. The process can be played like a game….Oh look what I discovered about myself….oh I just used a new pattern and it did not feel good but I did it……. Just in case you would like to know what human design is: In short it's a system that helps you find out about who you are, your uniqueness in the world, your life path, how you can make the right decisions and the promise that if you live true to your design you will live a great life. Are you ready for that? Try an exploratory session with me, it's my gift to you. Click the contact tab and connect with me, or message me on facebook. Now have fun with it and please let me know your thoughts, I love to connect with you. Do YOU remember when YOU were young and thought that women over 40 are very old? I sure did and now that I am almost 60………. it's not old at all. How do YOU feel about your age, the state of YOUR body and YOUR mind? Are YOU happy with YOUR life? If not, what do YOU do about it? These days I don’t have to accept this statement as truth any more. 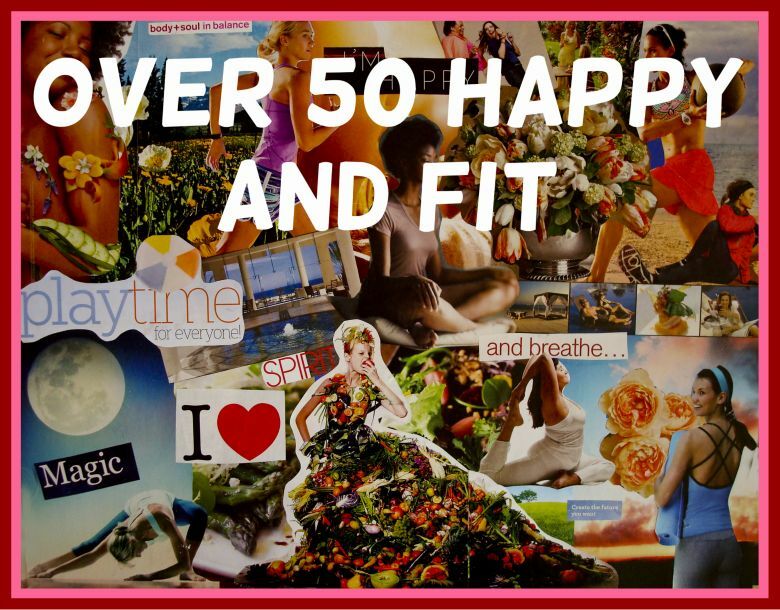 It's empowering for me to be fit and happy and to create my life the way it works for me. I started making changes when I was 50 and it has been a marvelous, but also a painful journey of self-discovery. But to be honest even the pain was ok, because it helped me feel my feelings. My life up to that point was ok, or at least that's what I thought…………. Turning 40 I was middle aged-plump, I weighed about 160 pounds and did not feel good in my skin. Eventually I signed up for the gym and did a 3 day routine, lost some weight but not much……..Turning 50, I went through a total crises and changed my diet, my lifestyle. some of my friends, my old way of thinking and more. I dropped French bread and replaced it with dark German whole grain bread, I quit alcohol, smoking and comfort food……… Or to be honest I still had comfort food sometimes and here and there I had a glass of wine with dinner. I believe that it's too hard to be too strict with myself; there are always exceptions to my rules. My new diet included more steamed vegetables and salads, and water replaced juices. The interesting thing was that I quit smoking but did not have a desire to binge eat. That was a miracle, It probably was due to the fact that I practiced meditation and lots of methods to help me be aware of what I think and what I do. Now that I'm 59, I still keep up my gym routine, I found a class that I love. A mix of Yoga, Tai Chi and Chi Gong. I do weights and I love power plate exercises, which also helps with osteoporosis… or so I heard. I love to ride my bike and go for walks. One of my other favorites is 5 rhythm classes, but so far I have not been able to find it in my town in Germany, although I could take the train to Cologne………..It's funny, when I lived in the state a one hour commute was normal. At times, I would do it every day, now I think it's too hard….I have to meditate on this one………..Anyway, it’s important to make it fun and keep it exciting. Yesterday I met a woman at the gym, she is 62 and has the body of a 30 year old, I kept noticing her and thought wow, this is amazing……… she inspires me. We started chatting about life, what we do in order to keep our bodies fit and how we stay inspired and happy. She told me that she works with a hospice service as a volunteer which reminded me that I wanted to volunteer for a hospice service for a long time, but keep talking about and have not done it. So now that I got the contact information of the organization that does the training, I will talk to them. For me this was another sign that it's something I should do. Believe it or not I've been thinking and talking about it for years……………….I believe in signs, if I want to do something and somehow reminders show up out of the blue, it's my sign to DO IT. This is part of my "spiritual fitness." To recognize the signs, follow my intuition and my gut instinct. If I live my life according to these guidelines I’m in tune with myself. Meditation and self-reflection are great tools to help strengthen these qualities. How do YOU keep your mind and your body fit? Please leave a comment I love to read them. Do you have a problem with perfectionism? How does it show up? Does it prevent you from doing what needs to get done? After participating in lots of human potential groups, reading hundreds of book and taking many classes, I allow myself to say that perfectionism is a huge problem, effecting millions of people. What's your opinion? A long time ago YOU might have started to try and be perfect, because YOU wanted to please your parents when you were a kid. Maybe YOU thought YOU will only be loved if YOU do everything right. YOU might have been ridiculed and then continued the thread of perfectionism through our life. 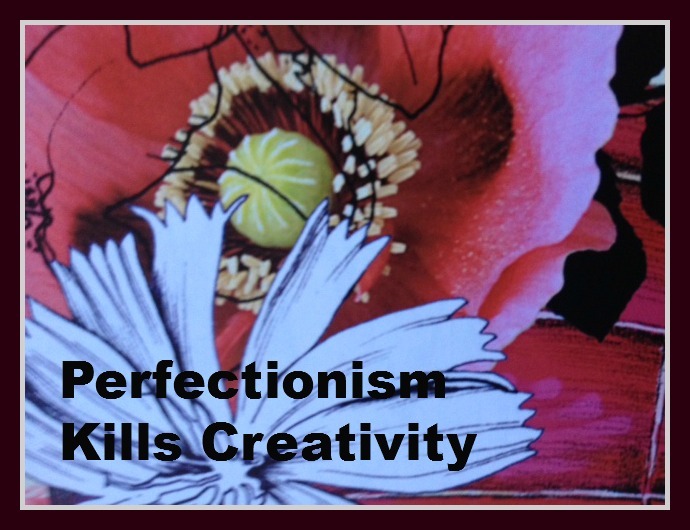 Now why is perfectionism a problem? Do any of those items apply to you? If so, do not despair, the good news is: YOU are not alone and YOU can let go of it. The desire to do everything right can be positive to some degree, if it helps YOU to do something well. But if it freezes you to take action, or if YOU can't enjoy YOUR life, it's a hindrance. How can perfectionism be dropped? One of my mentors says: It's better to perform mediocre actions and DO things, than to be perfect and NOT DO things. The other great quote is: "progress is better than perfection." If you have a dream for your life and you need to perform certain actions, but don't do anything because of the fear to not do it right…. you have a problem. YOUR dream will have to wait and maybe wait forever. If you are ok with that fine, if not something needs to be done. Do YOU agree? For example…. a lot of people want to use videos to market their businesses and get their message out there, but they don't do it, because they don't like the way they look, how they talk, or they have the excuse that they don't have the technical knowledge. Not none of them is a good excuse and I used all of them until………………..
Part of my business plan was, to create videos in order to be visible online, to have a chance for people to get to know me and to be known for what I do. The problem was: I had no clue how to do it, felt very insecure about the way I looked, the sound of my voice and in addition to that, I did not have the techical know how…….big problem! After a while I was getting tired of telling my coach that I had not done it. So the desire to do it and to be accountable to my coach made me get over the resistance and fear. I had a cheap little MINO HD camera and a tutor at the local college helped me with the techical aspects of how to record and how to do "idiot proof" editing with "life movie maker", an editing program that comes with windows. I still had fear but now the desire and the personal support made me actually do it….Wow what a relief. I got a simple $30 tripod at Best Buys and started recording when I I created my vision boards and guess what… I actually had major fun doing it. I made sure I had kind of a nice background, I put some makeup on to have color in my face and then I just did it. The editing was fairly easy to do. I learned how to cut pieces together, to add text and how to blend the different cuts together. It was super simple. The last step would be to save it and upload to YouTube and that was it. I was proud of myself, because I acted in spite of fear. Every time you get over a fear or resistance, YOU empower yourself and you can overcome YOUR perfectionism one step at a time. Some things need to be done and there is no way around them, but YOU can make it about the action and not the result, YOU can just enjoy what you're doing, make it creative. Be curious about turning it into a playful activity that you love to perform. This might not change the task but it will make it possible to have fun with it and actually enjoy what YOU do. When you have a project ahead of you, make a list of all the items that need to be done, then determine the order of how important they are and make a list of people who YOU could ask for help. If it all gets to be too much, drop the items at the end of the list. For example if you have to organize a party, it's better to have fun with your guest than to have the perfect decor or food. Always ask yourself what are the most important essentials in order to enjoy this. Have you noticed that when YOU struggle and try to be perfect YOU can't have fun. When others are light, playful and creative, YOU might judge them for being so, but in the back of your mind YOU would like to be light and quirky yourself. Try to notice when you get annoyed with others who have fun and look into it……… Normally whatever annoys us in others is something we do not allow ourselves. My dear friends, do you have any tips about how to drop perfectionism? Please leave a comment, it helps to get some more ideas and practical tips. Have you noticed how our attitude determines the quality of our lives? The more awareness we have to control our attitude and our thoughts, the happier and more creative we can be. 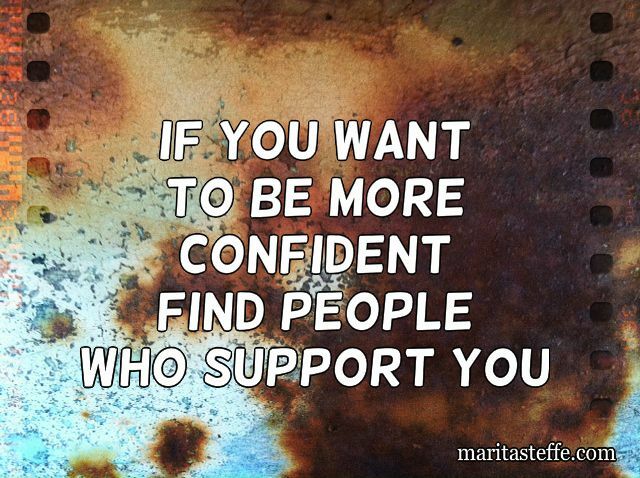 Supportive friends can be a huge help to keep us on track. There is a multitde of support available in form of: books, audios, workshops, webinars, forums, facebook groups. Another great place to find like minded people is at meetup groups. Step three is to connect, easy breathy….. Sometimes it's hard to have one more thing to do, but it's essential to connect with people and to network….. Not only for our personal well being but it's great for business too. Support is essential, unfortunately our friends and family members do not always share our need to change and grow. The desire to follow our dreams, to break out of the mold scares the heck out of some people. But we need support in order to move forward. If we cannot find this within our circle of friends and family, we have to look in other places. Where do we find people who are on a similar path? I've been lucky to meet a lot of like minded people in personal development seminars. The network is international and I don't have to rely on my "local friends". Whenever I have a hard time to believe in myself or I lose faith that I can achieve my dreams and goals, I can contact someone who will help me through the challenges, back to being in a space of possibility. Feeling good and believing in ourselves is the key to success. If you get discouraged……… your vision and your support system will keep you on track. Pay attention to how you feel and where you feel it in your body. It might be uncomfortable at the beginning, but you get used to it, just keep practicing to feel "uncomfortable," The feeling of fear and discomfort are part of the process, so just accept it and do what you need to do. Working with a coach is also very effective, if you have not tried it give it a chance and try a few sessions, it's one of the best support systems I know. Pema Chodron, a buddhist nun, wrote a wonderful book, called. "Go to the places that scare you"
Every time we overcome our fear and do it anyway, we empower our life. Where do you find support? Please leave a comment and share it with us. Instead of making goals for your business or material needs, why not set some soul intentions for the well being of YOU, your spirit. I read it somewhere and thought: "what a splendid idea". So what's the difference between soul intentions and other intentions, or life goals? For example most intentions or resolutions are kind of competitive. We want to make more money, do more work, be better at something, look better for others, in short have more and be more. Soul intentions are about our soul needs, which is: more love, more compassion, more forgiveness and more acceptance. I will accept and love my parents and kids just the way they are, even when they annoy me. I will do the things I need to do even when it scares the hell out of me. Ok, I’m overdoing it, but this is what I need to do in order to be content. Most of the items are incorporated into my life already, so it does not feel like “oh my god I have to do all this”. No it’s how I love to live my life. My life is a spiritual practice and sometimes it’s all great and sometimes it’s the pits, but its ok. Sometimes everything is easy and flows like a miracle and the next day nothing flows. I’m learning that if I don’t get so attached to the good days, it’s not so hard to not get attached to the "not so good days". It’s all just energy, good, bad, negative, positive vibration. It is very important to not make important decisions when angry, tired or disconnected. 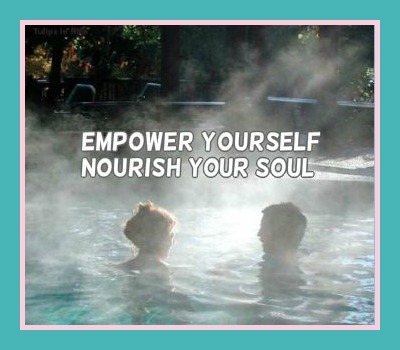 Self care is improving your connection to your life force and the more you take care of your body mind and spirit needs, the better you will feel. We live in a world where stress, workaholism and self abuse is awarded. So it’s time to undo the damage and incorporate play, fun and some serious "self indulgance" into life. Place your vision board or a poster board with your written intentions, where you can see it. You will notice that the more you will take care of your needs, the happier you will be. This in turn will attract more of the same energy into your life. It’s a miracle, it truly is. Make a commitment to yourself! A simple lovingkindness meditation for you from Jack Kornfield. You might say that it's not a good idea to hang around negative people and I would say the same. But sometimes these people are close family and we might not want to stay away. For example parents: They might be getting old, in pain, scared and in a situation where they have to let go of control. Can YOU see how hard this is? I sure can and if someone does not have training in spiritual principles, or personal development it's hard to deal with these facts and the default might be: NEGATIVITY. My choice was to move back to Germany to be closer to my parents. After living in California for 34 years, this was a hard decision, but somehow my feeling told me: Marita it's time to go back and be there for them. One problem is that there is a lot of negativity in my parents environment and I will need a strong practice and support system in order to not get sucked in. Watching the news several times a day, complaining about the state of the world, the greed, the problems, the cheeting. Getting together with others, all this gets discussed and it's a vicious cycle of a hostile world, injustice, powerlessness and sickness. Wow it's no fun, I don't even want to know. 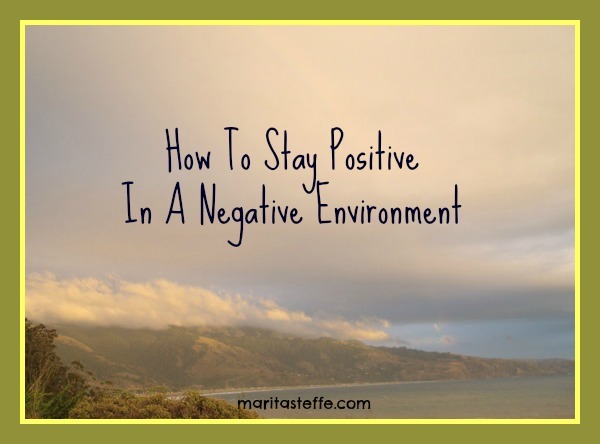 A toxic environment, but I make it my practice to be present and to stay positive, I want to be a "breath of fresh air". Detachment with love is the practice and I watch everything around me like a movie. The practice is to not react and to be loving and patient. Thank god I have a good meditation practice and support system of friends who will keep me on track. I am so amazed and grateful about my progress. All the work with 12 step groups, spiritual programs, personal development and coaching have made such a difference in my life. It empowers and supports me through difficult times. The important lesson for me is to know that not everybody around me has the awareness to be on this path of forgiveness, acceptance and letting go and I have to accept this. Living in a space of mystery and not knowing what tomorrow will bring is also challenging, to say the least. Living life outside of the comfortzone, having faith that everything is the way it's supposed to be and just flowing with whatever happens. That's the space where miracles happen. The beginning of December I applied for an apartment in Germany, I was hoping to be able to move in January 1, but I will not be able to move in until February 1. The thought of staying with my parents for another month was hard for me and for them. Now the miracle was, that I applied for US citizenship and the only thing left to do was my "Swearing in Ceremony, which I did not have a date for at the time. One day later my friend checked my mail and I got the date for the ceremony, January 8th. I booked a flight and decided to stay in California until the end of January. So, it worked out perfectly! These miracles strenghen my trust in the universe and the more I notice them, the more I can let go of trying to control everything. What a relief that is. 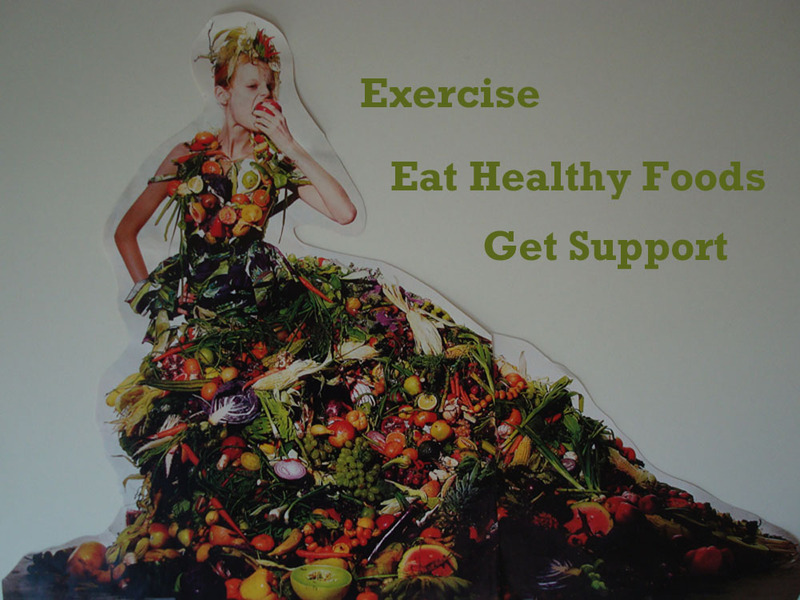 The most common problem for women, especially women over 40, is to be out of shape, weigh too much and have no time. Most women are on double duty: Working, taking care of kids, taking care of husbands and households. No wonder it's daunting to find the time to exercise and pamper ourselves. It's hard to change from taking care of others to making time and taking care of ourselves. It's challenging to step out of the old patterns and know where to start and how to change. I know, I've been there. After my children were born I gained about 40 pounds and never got rid of the extra weight until I was 49. It just crept up and I had to get to the point where I was miserable, I did not feel good in my skin, I did not feel attractive, I got resentful. My marriage of 30 years failed and life was a huge mess. My children were teenagers at the time and instead of having a mom who was confident, fun and happy, I was depressed, controlling and in bad shape. Eventually I started participating in support groups for women, immersed myself into self help books, learned who I am and what I need. So eventually, after hearing one too many times that I can only change if I take some action steps, I signed up for the gym. This step took some courage, but once I started I stuck with it. My diet changed, no more french bread, no more brie, no more roast and gravies, very little pasta and no more alcohol. I replace the white bread with coarse german ryebread, I added more steamed vegetables and salad to my diet and reduced my portions. The weight just kept dropping and I started feeling better and better, I bought new clothes and yes, I even looked good in a bikini! Now 9 years later, I still look pretty good, but my exercise routine is getting old, my metabolism is changing, my favorite pants are getting too tight and there is a fair amount of flab bulging over my pants. I thought it's time to do something, but did not get into action, until a friend of mine introduced me to Visalus and the 90 day challenge. This sparked my interest, I signed up for the challenge and received the shakes and supplements a few days later. I had to publicly announce my goals on social media and keep track of my progress on the website., that was kind of hard but I did it, it helped me be more accountable. Wow, how empowering that was, to see all these people comitted to fitness and living a healthier lifestyle, I was on fire. I signed up with a trainer and now I am learning that I have to change my routine around a little bit in order to have the disired effect. Some people told me that flabby upper arms are part of getting old, but my trainer said no, if I do the right exercises I will have tight arms in a few weeks, whohooo. I only wanted to lose 5 pounds, but the main challenge will be to replace the flab with muscles. I know I will be there by the end of the 90 days. I lost 3 of the 5 pounds already, so now I am going from replacing 2 meals a day with shakes, to just replacing one. It is totally inspiring to do this in a team with others. I want you to be a part of this too. I want YOU to believe that you can do it, there is not I can't, there is only I don't want:-) I am where I am because somebody else helped me to believe in myself.